Why choose MyTub for vokera domestic gas boilers? MyTub service is second to none in the UK, no other company aims to fulfill your requirements like MyTub does. We have fully trained and experienced staff ready to take your order, find the nearest branch with the goods ready on the shelf to deliver to your address and ensure you get your order delivered to you as quick as humanly possible. We keep you informed of the progress of your order, good or bad news. Our experienced team offer pre sales service to answer any questions you have relating to the products by liaising with the manufactures. All our vokera domestic gas boilers products are genuine branded goods. If the item is in existence and on a UK shelf we will source it for you, in some cases when the part has even been obsolete for quite some years. Contract pricing and quantity discounts available on vokera domestic gas boilers, our contracts department can also aid in specification if needed. Clock and thermostat for compact a allows easy control over boiler heating timings and temperatures over a 24 hour period. this wall mounted, battery operated, digital thermostat control enables versa ..
Mynute vhe he regular open vent boiler mynute vhe is vokèra’s open vent condensing boiler. it has extremely small dimensions with the lower output models fitting in a kitchen cupboard. th .. This 201 time clock runs on 240 volts and functions with a wide array of boilers and ranges. 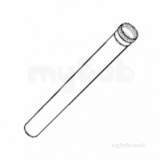 This 2359169 long joint clips function by coupling flues together and are extra long to ensure the lock. 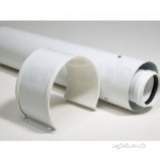 This 29450120 flue kit is standard size and works with vokera products. vokera offers a wide range of flue systems that are able to meet most applications; these include 60/100mm and 80/125mm diame .. This 29450122 flue terminal works will all vokera flues to end a pipe length. 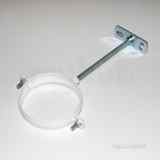 This 29450124 flue elbow bends 45 degrees and is meant to be used with natural gas. This 29450125 flue extension will lengthen a flue system by 500 millimetres. This 29450126 flue extension will lengthen a flue system by 1 metre. This 414 flue is meant to be used with natural gas and measured at 125mm. it may be tempting to opt for a low cost spare part, but do consider the impact that this may have. counterfeit parts are t .. This 415 flue elbow bends 90 degrees and is meant to be used with natural gas. it may be tempting to opt for a low cost spare part, but do consider the impact that this may have. counterfeit parts .. This 416 flue elbow bends 45 degrees and is meant to be used with natural gas. This 417 flue extension measures 250 millimetres and is meant to be used with natural gas. This 418 flue extension measures 500 millimetres and is meant to be used with natural gas. This 419 flue extension measures 1 metre and is meant to be used with natural gas. This 420 flue extension measures 2 metre and is meant to be used with natural gas. This 422 flue extension has telescoping action and is meant to be used with natural gas. This 423 flue bracket is meant to be used with natural gas. Vokera 433 single channel clock kit unica he 24 hour mechanical clock. allows control over boiler heating timings with continuous, timed and off modes of operation. this clock can also be used with my ..
Vokera 514 digital programmer mynute he 7 day digital programmer. suits all main heating and hot water needs, when the boiler is connected to a water cylinder. it can be programmed to control the heat .. This 520 measures 100mm, is set to be used horizontally, and is meant to be used with natural gas. 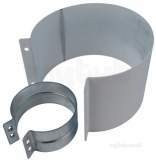 The 523 flue elbow bends at a 90 degree angle and is made to function with high efficiency boiler systems. 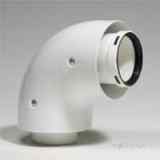 The 524 flue elbow bends at a 45 degree angle and is made to function with high efficiency boiler systems. This 527 flue extension measures 2000 millimetres and is meant to be used with natural gas. This 528 flue extension measures 500 millimetres and is meant to be used with natural gas. This 529 flue bracket is meant to be used with natural gas. 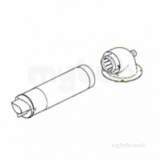 This 531 flue flashing is meant to be used with natural gas and measures 100mm across. This 850 combination boiler is 780 high, has a 25 kw heat input, and has a 4.5 m flue length. This 852 combination boiler is 780 high, has a 29 kw heat input, and has a 4 m flue length. it may be tempting to opt for a low cost spare part, but do consider the impact that this may have. counterfeit parts are typically substandard, manufactured from poor quali ..
manufactured with you in mind, the compact a has very small dimensions and is lightweight. the compact a can fit in a kitchen cupboard with dimensions of 715mm (h ..
Vokera compact 25a combi boiler exc flue compact a is vokèra’s new cost conscious condensing combi boiler. this sedbuk a rated condensing combi has very small dimensions, enabling it to f ..
Vokera compact 29a combi boiler exc flue compact a is vokèra’s new cost conscious condensing combi boiler. this sedbuk a rated condensing combi has very small dimensions, enabling it to f ..